Starbucks swag door prizes for first 50 guests! 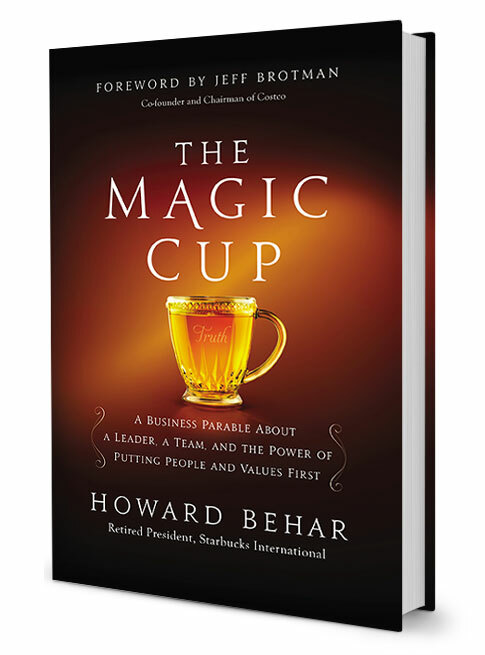 Plus, everyone gets to enjoy a cup of Starbucks as you hear from renound business and leadership expert, Howard Behar. Howard Behar excelled as one of those unconventional executives who dared to do things differently. Hear Mr. Behar's story, his take on servant leadership and how to positively impact your organization. 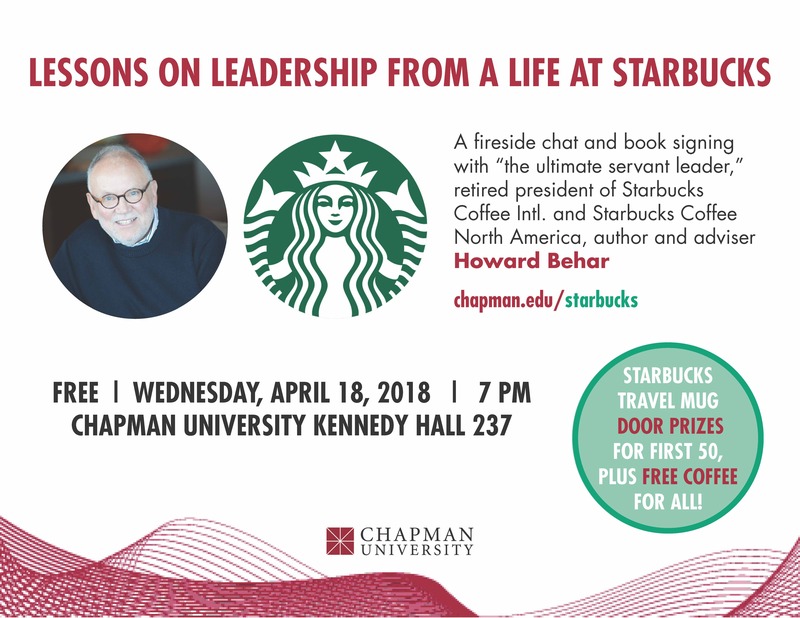 7 - 8 pm Fireside Chat Featuring Howard Behar and Chapman University's Director of Leadership Studies Mark Maier. Mr. Howard Behar's career in business spans over 50 years, all in consumer oriented businesses covering several industries. After 21 years, he retired from Starbucks Coffee, where he led both the domestic business, as President of North America, and was the founding President of Starbucks International. During his tenure, he participated in the growth of the company from 28 stores to more than 15,000 stores spanning five continents. He served on the Starbucks Board of Directors for 12 years before retiring. 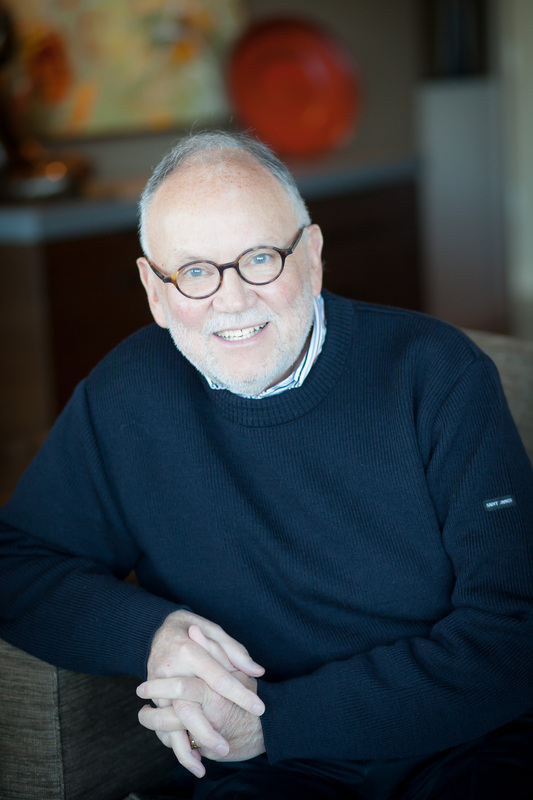 Mr. Behar now serves on several boards, including iD Tech and Education Elements, and on the advisory board of Anthos Capital. His nonprofit commitments are to the University of Washington Foundation and the UW Business School mentoring program and as a trustee for The Sheri and Les Biller Family Foundation. Mr. Behar is committed to the development and education of our future leaders and has been a longtime advocate of the Servant Leadership Model. 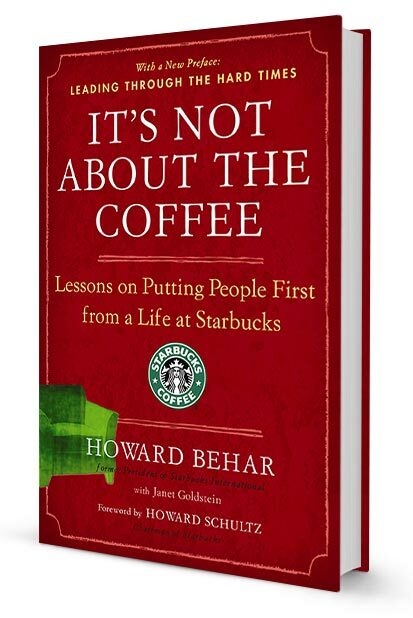 He has also authored two books on leadership titled It's Not About the Coffee and The Magic Cup.